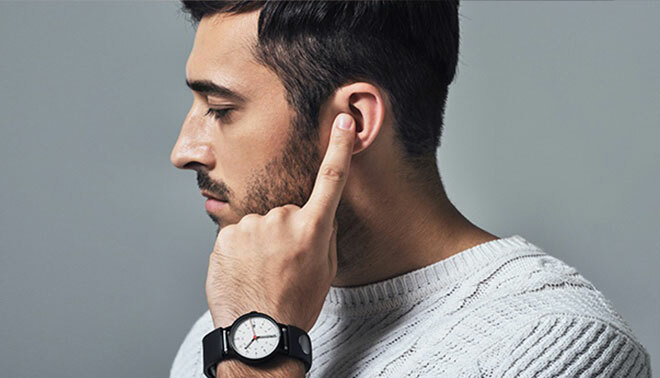 Currently seeking backers on Kickstarter is the Sgnl by Innomdle Lab; a smart wrist band that allows you to listen to phone calls via your finger. The strap, which can be attached to any regular watch, smart or not, does not feature a speaker and instead transmits vibrations through your hand and along your finger. Place that fingertip by your ear, and you can allegedly hear the caller. The Sgnl has already smashed it's target of $50,000 and early-bird units are currently sold out. However, this is a great idea as it can integrate with another bit of tech you're already wearing - your watch - and features a microphone built-in to it. That way, all you have to do is lift your hand to your ear to take the call, like a secret agent protecting the President. Or you, ordering a pizza! Find out more about the project, here.